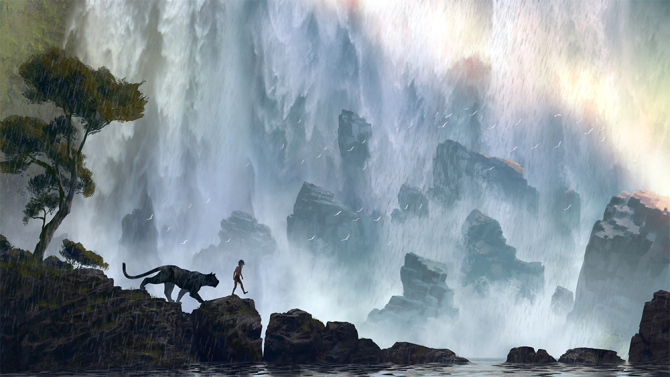 The star-studded cast features Idris Elba as Shere Khan, Bill Murray as Baloo and Ben Kingsley as Bagheera. If you remember the story correctly, we know that Baloo and Bagheera take a protective interest in Mowgli and struggle to keep him safe from the many dangers the jungle holds. The trailer lives up to it’s title of “teaser” because all it does is leave you wanting more! I love the subtle nod to the song “The Bare Necessities” at the end, too. We have only to wait until next April to see the film in completion, though. This entry was posted on Tuesday, September 15th, 2015 at 12:36 pm	and is filed under Books, Film, News. You can follow any responses to this entry through the RSS 2.0 feed. You can skip to the end and leave a response. Pinging is currently not allowed. « Tom Hiddleston Wows As Hank Williams!! !